EUROPE: Members of the European Parliament have backed a renewable energy target of 35% by 2030 -- an increase on the 27% target proposed by the European Energy Council and Commission. The Parliament also voted for member states to submit national energy and climate action plans stating how they intend to contribute to the collective European target by 1 June 2019. Further, it backed member states having to give five years’ visibility on their public support for renewables. Europe's Parliament, Commission, and Energy Council can now begin three-way negotiations to reconcile the eight-percentage-point difference in targets. Giles Dickson, WindEurope CEO, welcomed Parliament’s vote, and argued the increased renewable energy target would help to create jobs and supply chain value. "Good on the Parliament: 35% makes sense economically. Consumers benefit — wind is now the cheapest form of new power generation in Europe. "And wind is a key part of European manufacturing and exports — it supports 263,000 jobs in Europe industry and contributes €36 billion to EU GDP. A 27% target puts all that at risk," Dickson said. "Knowing in advance the volumes and timing of national renewable auctions is crucial to guide investments in the supply chain. "Visibility means industry can plan, it means equipment is available when people want it, it means economies of scale - it means renewables are even more affordable," Dickson added. Meanwhile, Greenpeace argued that the 27% target supported by the European Council and Commission was insufficient in meeting the EU’s commitments under the Paris climate agreement to limit global temperature increase to 1.5C. Greenpeace EU energy policy adviser Sebastian Mang said: "The Parliament has rightly recognised that the EU must boost renewables to meet its climate commitments, but should have kept the focus on real solutions, not bad bioenergy. "Unlike governments across Europe that are blocking communities from phasing out dangerous coal and nuclear in favour of renewables, the Parliament strongly backs citizens’ rights to harvest and sell their own energy from sun and wind." Meanwhile, Ocean Energy Europe CEO, Rémi Gruet, also welcomed the parliamentary vote, claiming a 35% target was the "minimum required for Europe to maintain global leadership" in ocean energy technology and project development. "Ocean energy is ready for commercial roll-out over the next decade. To commit private finance, investors need a clear political signal from Europe. "The Parliament provides just this, with a 35% target for renewables, a financial instrument to reduce the cost of capital, and a ban on retroactive changes," he said. 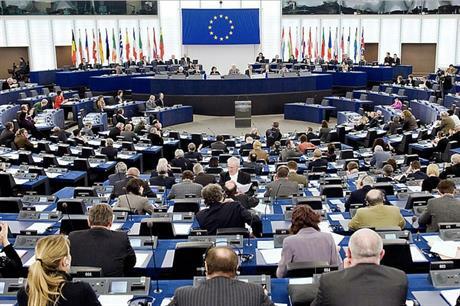 Friends of the Earth Europe (FOEE), however, criticised the European Parliament for backing the 35% target when it had previously supported 40% and for voting down binding national efficiency targets. Clémence Hutin, energy efficiency campaigner for Friends of the Earth Europe said: "The EU Parliament has been a vocal supporter of energy efficiency and its benefits for years and has previously backed a 40% target four times. "Today’s position falls short: when it came to the crunch MEPs folded and opted for a disappointing 35%. "The EPP’s role in bringing down the level of ambition in particular was deplorable." Elsewhere, Molly Walsh, renewables campaigner for FOEE added: "On the one hand it is positive to see that the Parliament has gone for the strongest position of all the three European institutions. "On the other hand, this target only looks ambitious in the light of the severe inadequacy of the targets proposed by the European Commission and by member states."